We have used the shipping pallets in various home furniture ideas, and also for some commercial places. We have made different furniture items for cafes and restaurants as well. And the good thing is that we have had so damn encouraging remarks and feedbacks. 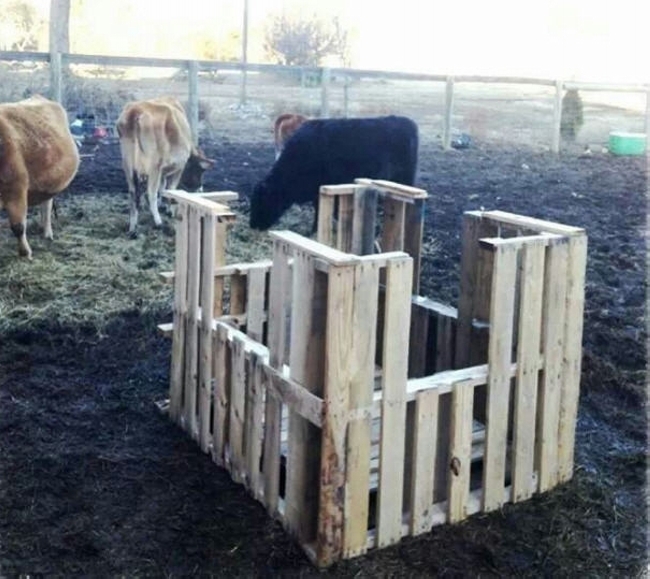 Many of our fellow subscribers who are running their businesses tried many of those wood pallet creations and they were pretty happy with them. 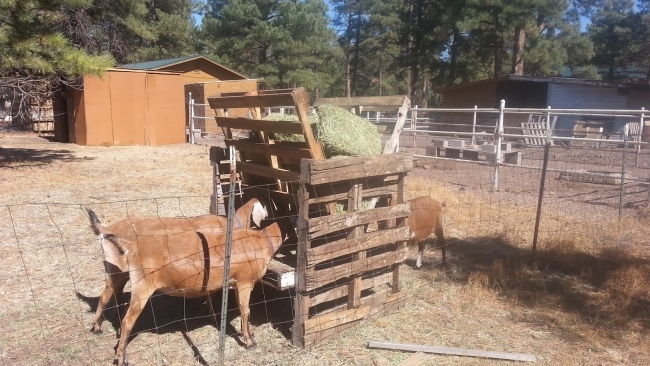 For today we a have a relevant subject, if you are into the business of cattle farming or you have some animals as pets, you would be aware of importance of a wide hay feeder. 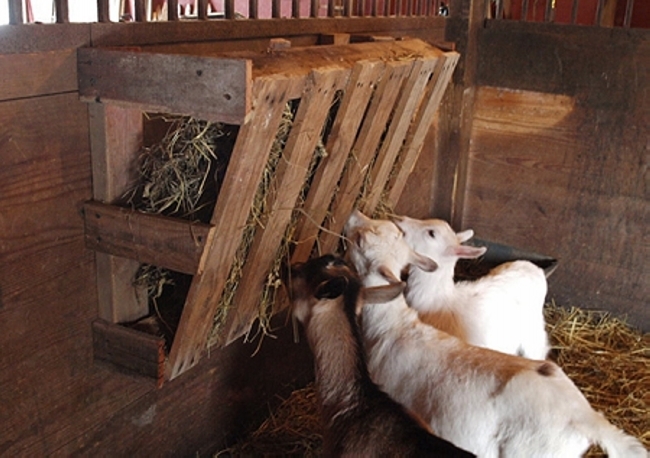 Want to recycle some hay feeders? Here the plans for them. 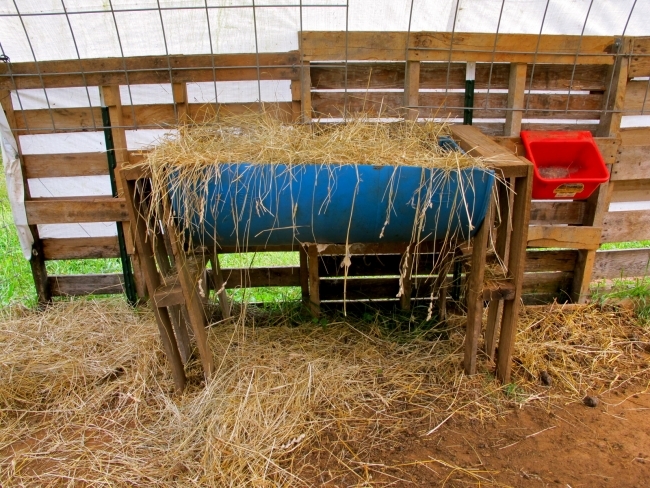 This one is a whole hut shaped proper hay feeder with a covering shade on the top, and a large wooden pallet recycled container especially for the hay storage. 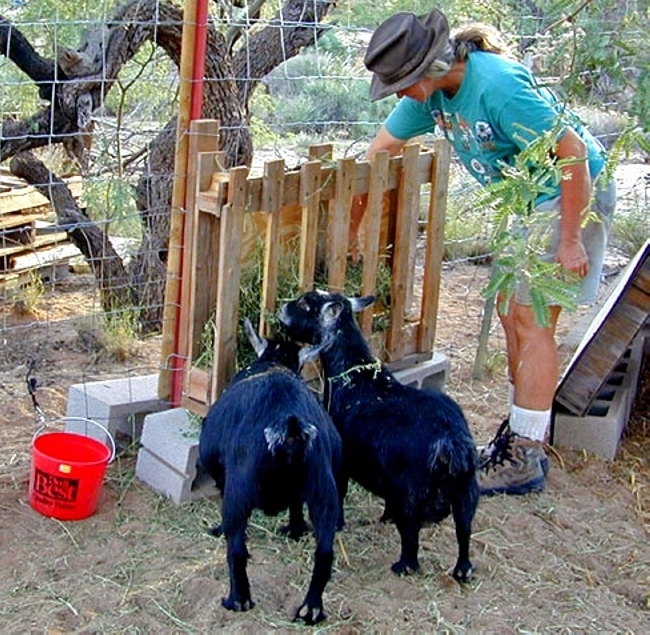 It has got certain iron bars which prevent the hay from falling or getting wasted. 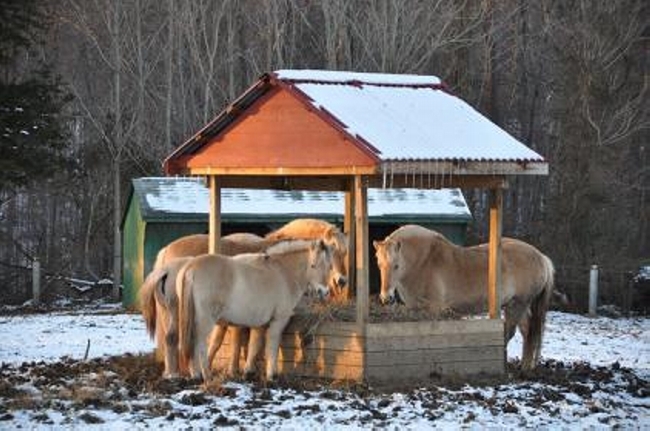 If you are fond of horses and also have a proper stable, we know this is a damn expensive hobby. 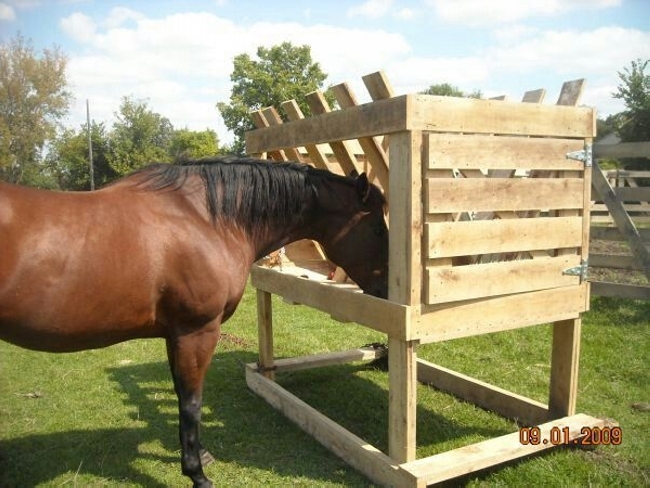 So just to give you a bit of relief, here we are presenting you a spacious hay feeder for your horses. This entire wooden pallet compartment is the creation of shipping pallets. 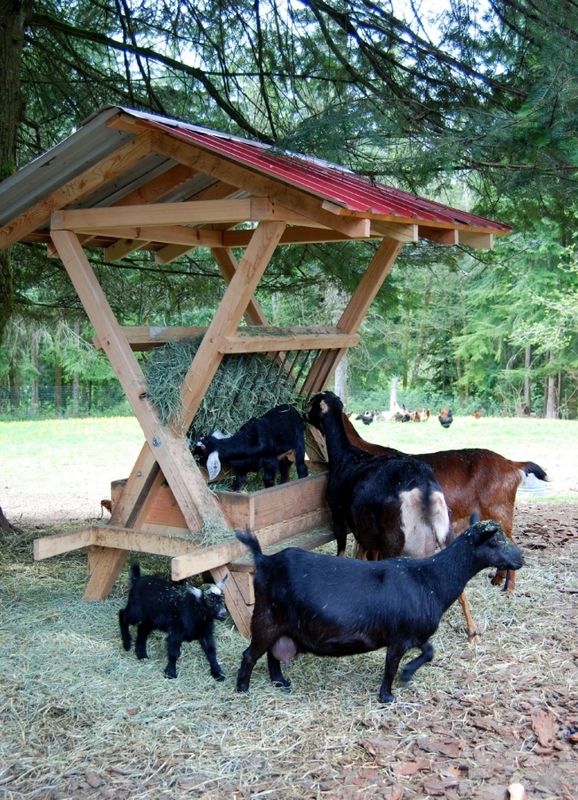 If you are planning the hay feeder only for a couple of goats that you have got in your pet collection, you can keep the hay feeder pretty low to the ground and keep it as simple as this one. 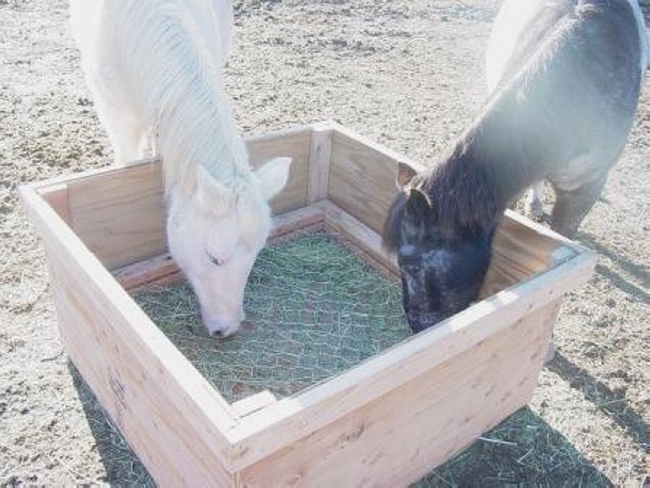 Have a look on the next hay feeder idea from a crafter’s point of view, just figure out the complexities that you may counter while the recycling process. I think the design is pretty straight and simple, this follows no complicated patterns that are hard to pursue. 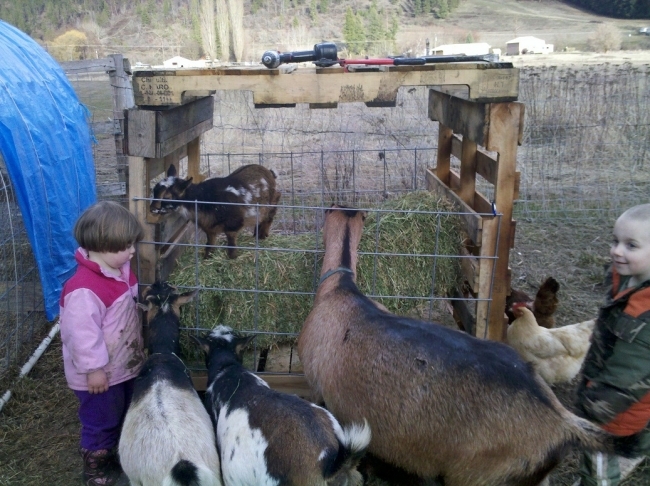 The next one in the timeline is a multi purposed hay feeder. 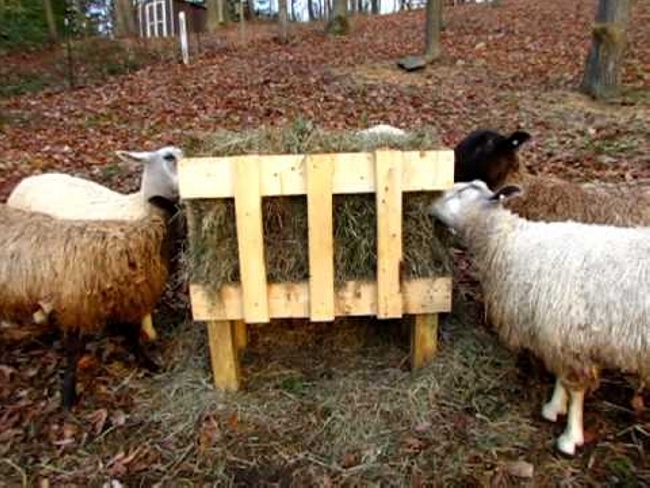 This can also be used as a stocker, and also as an immediate hay feeder. 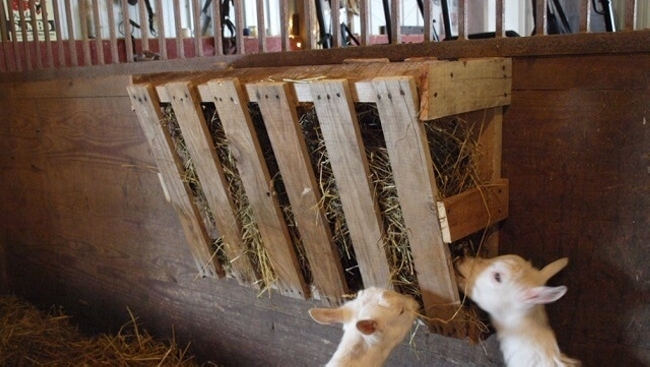 Its thick wooden panels would prevent the hay from falling out, and the sheep or goat may eat it from the gaps. 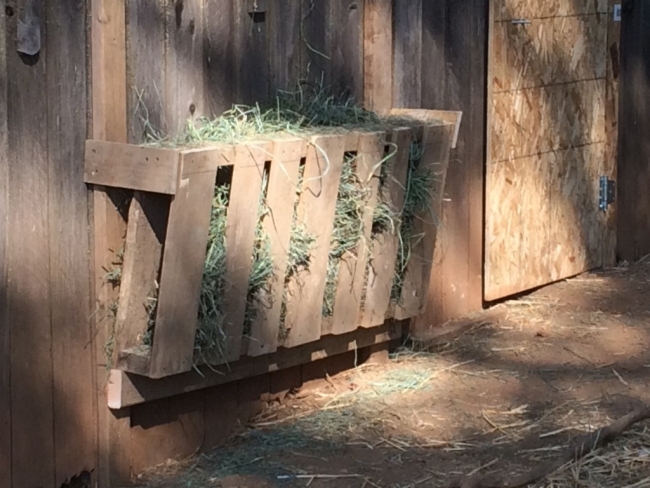 You can also go for some ultra big hay feeders depending on the strength of your animals and also on your skills because going for a bigger one might take much time and effort as well. But I am sure the end product would be worth all the fatigues and efforts. 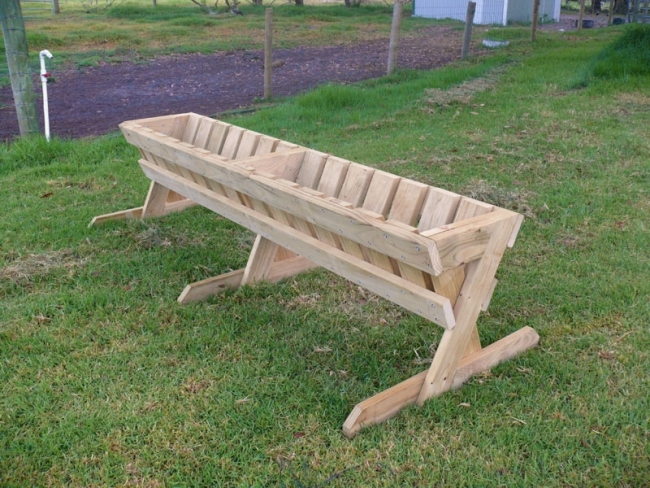 As we mentioned earlier that we have got a whole range of hay feeders in this article. 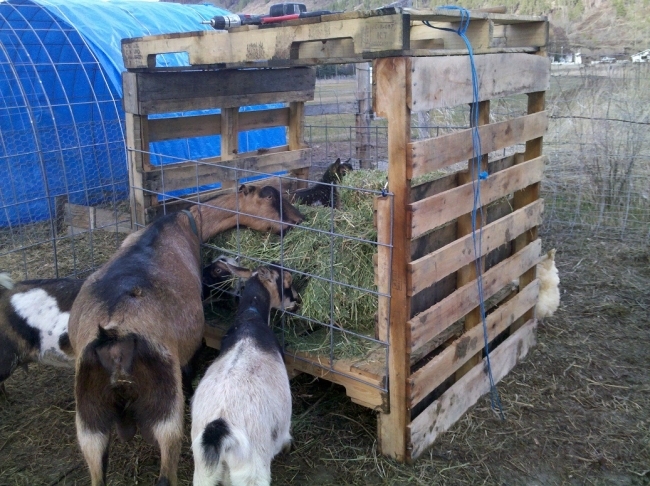 Now this is probably the roughest hay feeder that we have come across so far. 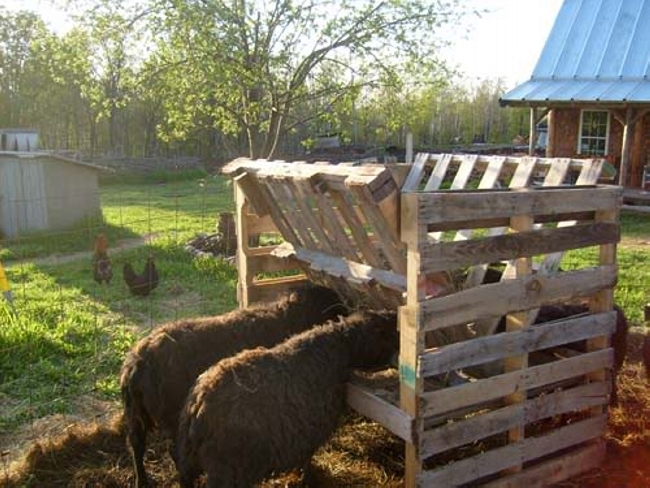 The most broken and deteriorated pallet planks are used here. And they are just given a shape of a box, and that’s it. 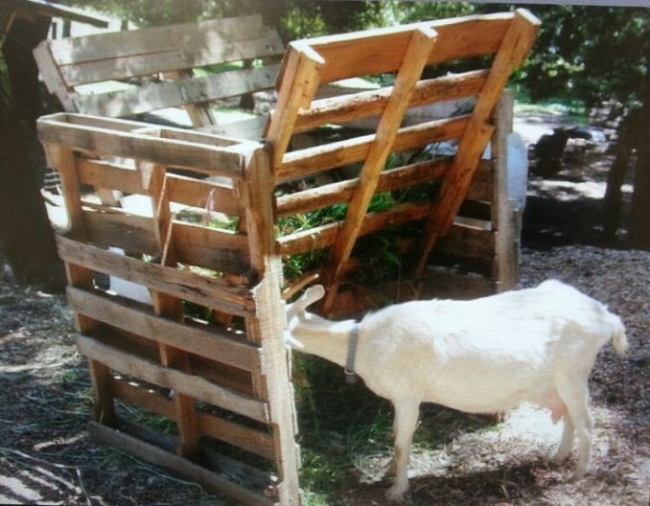 This is all about your ease of wooden pallet recycling. You just have to grab a number of shipping pallets, work a bit on the design, measurements and feasibility, and then get started. 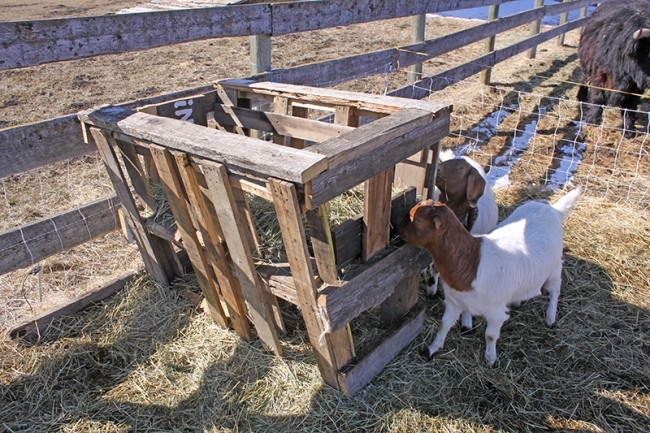 These are the simplest hay feeder designs given here and they are so damn handy to recycle. Save yourself a lot of bucks.